There’s a clear teacher shortage, Kent ISD educators say, and it’s crucial to fill the teacher pipeline with people who represent students’ ethnicities and backgrounds. The pool of college students in teacher preparation has declined by more than two-thirds since 2008-2009, and diversity among those education students was just 4.8 percent African American and 3 percent Hispanic in 2015-2016, according to federal Title II data. Consider those numbers with the fact that 59 percent of 106,700 Kent ISD students are white; 18 percent are Hispanic and 14 percent are African American. “We know our kids deserve the very best. A big part of the process of giving them the best is in our hiring practices,” said Brandy Lovelady Mitchell, Kent ISD director of Diversity, Equity and Inclusion. About 110 area educators gathered at Kent ISD recently to address the need to recruit, hire and retain teachers of color to serve a growingly diverse population of students. The daylong forum, “Fierce Urgency of Now: Strengthening & Diversifying the Teacher Pipeline,” looked at practices related to strengthening the teacher pipeline and hiring diverse teachers. 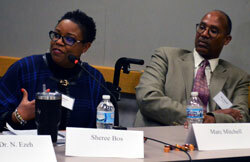 Educators explored the issue from various angles including the economic impact of not preparing students of color for college and the workforce. From a moral standpoint, they said, all students benefit from diverse teachers. Research shows the importance of a diverse teaching force and the benefits of students having teachers of color. “I can tell you with our superintendents this has been a major point of emphasis, not only to address the teacher shortage, but the teacher shortage relative to teachers of color,” said Kent ISD Superintendent Ron Caniff. 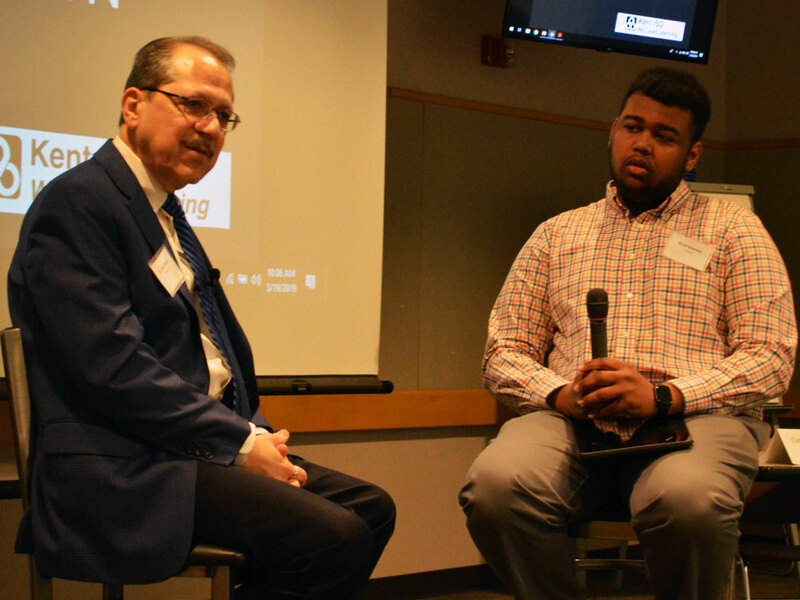 In front of participants, GRCC student Ravel Bowman interviewed Professor Juan Olivarez, distinguished scholar in residence for Diversity, Equity and Inclusion at Dorothy A. Johnson Center for Philanthropy at Grand Valley State University, on changing educational systems to support students of color. Olivarez said improving systems has been a focal point of his career, which has included roles as an elementary teacher, a counselor in Grand Rapids Public Schools, president of Grand Rapids Community College and president of Aquinas College. During the forum, local teachers served on a panel to weigh in on attracting and retaining teachers. They also shared thoughts on what is pushing people away from the profession. Plusses: quality training and professional development, mentoring and cultures of inclusion keep teachers in their jobs, they said. Kentwood Public Schools employs the second most diverse teaching staff in the county, with 11 percent teachers of color. 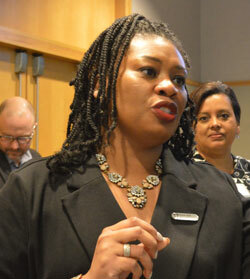 She said culture and climate play big roles in sustaining and developing teachers of color. Also effective, Bos said, are “grow-your-own” teacher cadet programs within districts to allow students to explore teaching as a profession as well as recruiting at Historically Black Colleges and Universities. In terms of inspiring young people to be teachers: “It starts by having more of us get in front of students so they can actually see us doing what we do so that it can become a possibility for them,” he said. But that discontent comes from teachers not feeling valued, she said, and that also applies to students. Ultimately, if young people feel valued and supported in an inclusive community, she said, that will bolster the profession.